Whenever somebody hears the words Louisiana Purchase, they begin to think about how the United States of America stole hundreds of thousands of acres of land for such little amount of money. However, the significance of this landmark sale goes far beyond the United States. The fight for the Louisiana Territory helped create a new independent nation and prevented the expansion of an imperialistic, European empire. Saint Domingue was the last roadblock in establishing Napoleon Bonaparte’s empire in the Western Hemisphere. Napoleon had suffered from what historian Philippe Girard likes to refer to as “colonial dementia.” When he obtained the Louisiana Territory, he envisioned an empire that spread from the Mississippi River in North America to the Maroni River of French Guinea in South America. Using the Louisiana Territory he could reduce trade with the United States and his colonies because Louisiana could provide timber, cattle, and flour. This French Atlantic Empire would virtually end France’s economic slump (Girard 45). However, the indirect rule of Saint Domingue was preventing this empire from happening. Resources, both material and manpower, were being used specifically on Saint Domingue to bring the colony back to French authoritative rule. Does France have a successful empire in the Western Hemisphere if they secure St. Domingue and the Louisiana Territory? Please comment with your reasoning! Some of Napoleon’s advisors had suggested focusing on colonies other than Saint Domingue. There may have never been an emperor who has been humble in the history of the world. Napoleon was no different. He managed his country in a very patriarchal manner, and it shows in how he handled the colony of Saint Domingue. Although some of Napoleon’s officers, Pierre Thouvenot for example, did not agree with his tactics, they followed his orders while leaving their own suggestions. The stubbornness of Napoleon would ignore the objections and continue his focus on controlling Saint Domingue. Did Napoleon's ego lead to his own failures? Why or Why not? The United States had secretly been hoping for failure to control Saint Domingue. The United States interest in westward expansion is widely known, but they also wanted the Louisiana Territory to limit some of the resources and increase French trade. A bloody fight throughout Saint Domingue would demand more gunpowder from the United States. The fighting would also draw away from the French focus on Louisiana allowing the United States to slowly move into the territory and seize it (Girard 51). The wars that were raging through Europe led to a tight situation for Napoleon. With the treasury nearly drained from the efforts in Saint Domingue, and fighting the British and Spanish in the European continent, Napoleon had to make a decision. A yearlong treaty with England would not be sufficient to rebuild the French navy, especially with a lack of funds. 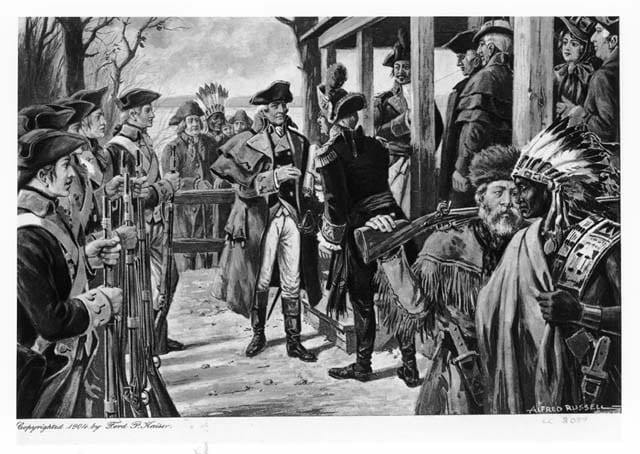 The issue in Saint Domingue would not be solved because General Rochambeau would no longer be receiving resources and reinforcements from the Louisiana Territory (Popkin 133). 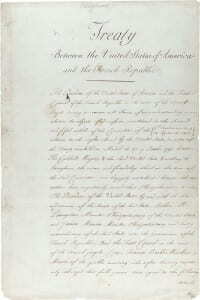 Napoleon had made the decision to sell the Louisiana Territory to Thomas Jefferson and the United States. The Louisiana Territory had changed hands between three countries in a matter of three years. Through the secret treaty of San Ildefonso in 1800, Spain had relinquished the Louisiana Territory to the French. The Louisiana Purchase was negotiated just three years later, between the Americans and the French in April of 1803 (Popkin 117). This was quite the bargain for the United States as they had purchased the entire territory for just thirteen cents ($0.13) per acre with the total purchase amount was sixty million francs! However, this was not able to be calculated at that time because the men negotiating the sale, James Monroe (US), David Livingston (US), and Charles de Talleyrand (France) had not even visited the territory, nor did anyone know how far the territory expanded westward (Girard 278). 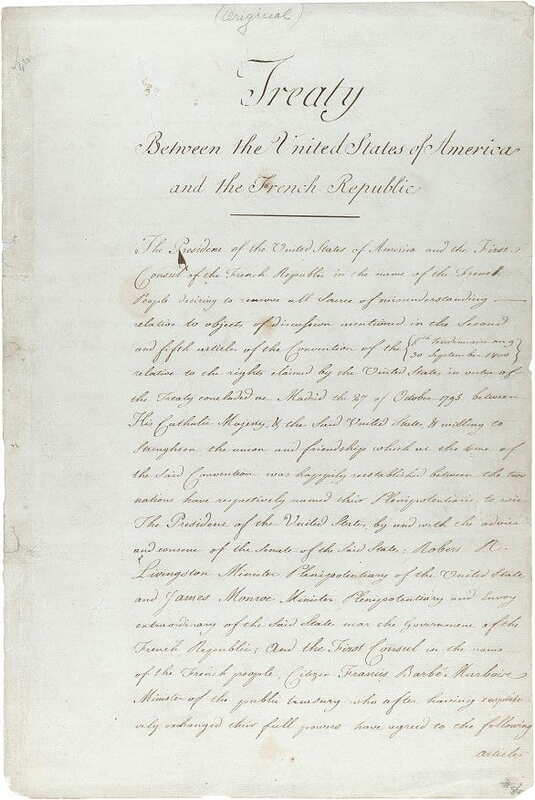 Treaty between the United States of America and the French Republic ceding the province of Louisiana to the United States, 04/30/1803. France had the makings of a western Atlantic empire with their colonies in French Guinea, several Caribbean islands, and the Louisiana Territory. The civil unrest in Saint Domingue was a major tipping point. A major leader than sprung from the French revolution could not defeat the slaves who rose up and started the Haitian revolution. The Louisiana Territory played a significant part in the development of countries in the Atlantic, and who knows what could have happened if Napoleon was able to suppress Saint Domingue and institute French control once again. 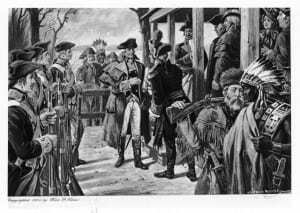 Was the Louisiana Purchase the end of French Imperialism in the Atlantic? Why or why not? Click on the (+) on the side to open the comment section!